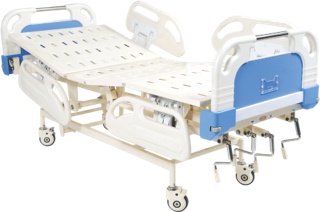 Our range of mechanically operated intensive care unit beds provide adjustment through separate screw levers for obtaining backrest, TB/RTB, knee-rest and hi-low positions. 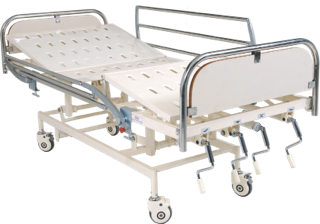 Bed Mounted on 5" Dia Castor. 2 with brakes. 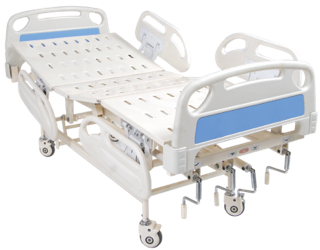 Two Pieces individual detachable side rails , Stainless steel. ABS Moulded Head and Foot panel with locking and corner buffer . 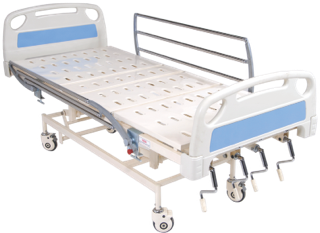 Two Pieces individual detachable side rails, Stainless steel.